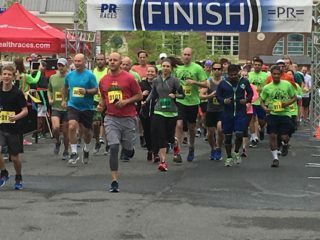 The 9th Annual FinishLyme 5K/1K, formerly know as the Loudoun Lyme Run, will drive awareness and raise money to help find a cure for Lyme disease – the number one tick-borne illness in the United States. The FinishLyme 5K will also feature a 1K fun run, as well as an information fair to educate the public about Lyme disease, its causes, symptoms and treatments. This year’s location will be Fairfax Corner in Fairfax, Virginia.